Buy From New Mexico's #1 Retailer Of Eagle Carports! Click Here To See Our Best Sellers! Carports, Portable Storage Buildings, Garages, Barns, More..
Largest and #1 Rated Carport Provider in New Mexico! Our Carports, Sheds and Portable Buildings will protect your vehicles, RV or farm equipment from the sun, hail, snow and ice. Free Shipping & Installation Included! Our crucial frameworks and covers shield your vehicles from the elements that could make them lose value or wear out prematurely. Our portable storage solutions off you various structures to store things on your property, businesses or farms. We offer both wood and metal versions and a wide selection of styles and configurations. If you require extra storage for your vehicles, your watercraft, tractors, your horses or livestock, or a refuge for maintaining the condition of other products, purchasing a custom-made steel structure may be your very best alternative. Maybe you require a shed for your sporting equipment, or various other leisure activities, whatever your requirement, we could are certain to have the right structure for you. We offer so many kinds of structures consisting of carports, RV covers, garages, barns as well as utility structures. We are hands-down the most reliable vendor of other structures like horse barns, agricultural buildings, backyard buildings as well as pavilions and even picnic shelters. All of our sales are backed by a service warranty to provide you complete assurance and after the sale solutions. We're installing carports and metal buildings in Albuquerque, Santa Fe, Las Cruces NM, Farmington NM, Santa Rosa NM, Alamogordo, Carlsbad NM, Clovis, Hobbs, NM and more. Most Durable Materials Available, Anywhere! Our buildings are 100% Steel framing and coverings. The paint is siliconized and baked on to prevent rust and last for decades. They are completely fire resistant and impervious to any severe weather. Relax and know that whatever is under our carport structures will be protected! If you live in an environment with extreme weather, no matter if it's heat, rain, hail or snow, with our buildings you don’t have to worry about having the weather destroying it, or your vehicle. You'll have lower maintenance costs when you put up a carport structure for your vehicle. A carport or metal structure is unaffected by insects. Our portable buildings have minimal worries when it comes to insect damage. Metal skinned buildings also have a minimal concern. You can sleep well knowing that your metal building will last for decades with minor maintenance and care. Our metal storage buildings and carports do not need painting for a long while, if ever. The baked on siliconized paint protects the steel from rust and resists oxidization. The good news is that in the future, should you choose to change the colors, you are able to paint over the existing colors. Our expert customer service team can help you to find the best fit for your needs. You'll be presented with solutions from our enormous selection. ​Our single wide carports are 12' x 21' and 7' high and are economical for housing a single car. They can also be customized. 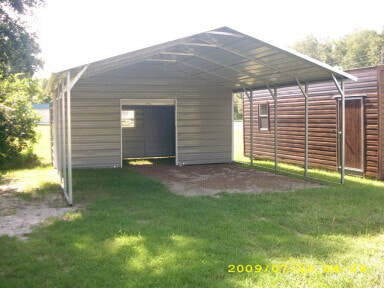 The single carport is ideal for a car, truck, van, or church bus. Made with quality steel materials that guarantee decades of service at an affordable price. A single not big enough? Our double wide can house two cars with plenty of space in between. It measures 20' x 21' and 6' or 7' tall. Not big enough? No problem, we can create a custom size just for you and fit your needs exactly! 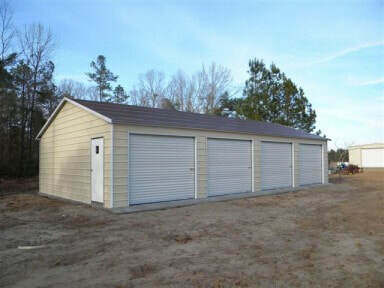 Farmers love this type of This type metal storage building. You can store equipment, produce or anything else that you need to keep out of the weather. 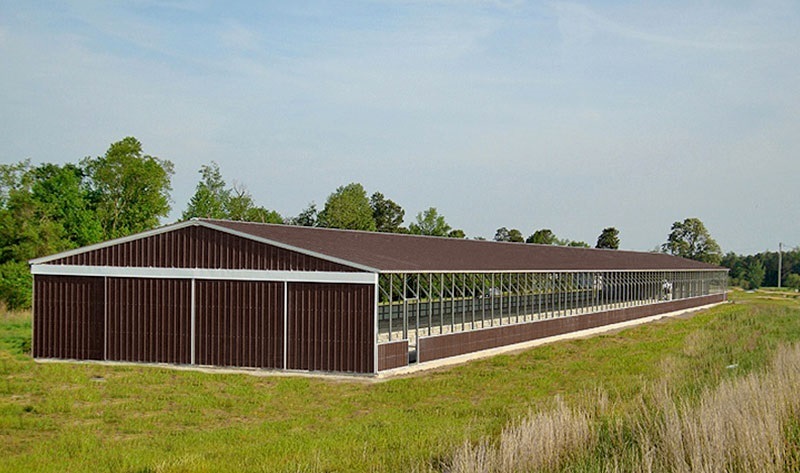 Our team can build this steel building exactly the way you need it to be for your uses. Do you need a triple wide? A partial storage area? Workshop, pavilion or something else? Give us a call to talk about your special requirements and we'll build it. we also guarantee to get it done for in record time and our installation lead time is the fastest in the industry! We deliver the best carports and metal storage buildings in the world! 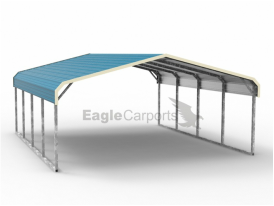 We only offer Eagle Carports, the most trusted and best built with the best warranty in the industry. As a building and installation partner the importance to us is in creating an excellent lasting impression on you.​ We truly care about our products and how they can serve you for the purpose in which you're buying them. We also care about building a lasting relationship with every customer by ensuring that your installation process goes smoothly and the product performs flawlessly for decades of satisfaction. We'll make sure that you'll understand how the product fits your needs, how the installation will proceed and what to expect from us, your installers and your new carport product. Our job is to make sure that you make an educated choice by explaining some valuable information about carport. You'll understand how well they function as well as maintenance, if any, that you may need to do in the future. We'll help you to choose the best materials for the type of carport you'll need and help you to identify the best place for the installation. 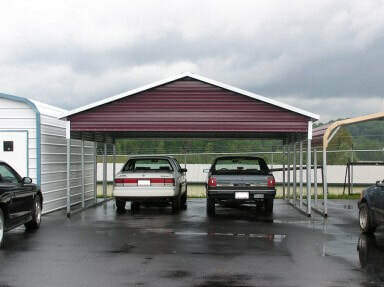 Properly locating the installation of your carports is important, almost as much as a home's location. We'll help you with all of this! Let's help you to place your order. Our expert consultants will guide you through the choices of structural support, choosing which gauge steel is best for you. They'll make sure that you have the correct height and you'll be able to get your vehicle(s) under it, protected and covered. The next step is to schedule your installation and our very determined team will have you're installation on the calendar in short order and installed within a couple of weeks. We only sell carports that last. All of ours, no matter the grade, come with a 140 MPH wind warranty. Our warranty also covers panels chipping and cracking, rust and more. We welcome all of your questions and inquiries. We began in Roswell, NM and started serving the southeastern part of the state. Over the years, we've earned the trust of these communities and have grown to be the most trusted seller in New Mexico. Today we've become the largest retailer, selling and providing installation of our Garages, Utility Sheds, Metal Storage Buildings, Steel Pole Barns & Sheds, RV Covers, Carports, Combination Utility Buildings, Equipment Covers, Farm Implement Covers, Loafing Sheds, Large Buildings, Hay Barns and more. Our lead time for installation is typically 2 weeks, but up to 4 weeks depending on your location. No one in this industry can even come close to that! What if you need something big? No problem, we have Large Buildings up to 100 ft. in width! We've heard more than a time or two, that people can't find exactly what they need. We don't subscribe to the "one size fits all" school of thought because we just know better. So, we decided to offer you the ability to customize your building into exactly what you need. One frequent question is about the flooring and what it's made of? All of our portable storage buildings have wooden floors as well as wooden porches. the sheathing of all of our products is made of painted steel, with the exception of our "wooden" buildings. Summers can get really hot and winters can be really cold. Want to lower your heating and cooling costs? Let us install insulation for you on our enclosed buildings to save you money throughout the years as well as maintain a more comfortable temperature. Need a cement pad? We've got you covered there too! Our Expert Team Is Waiting To Help You!